Indonesia will buy no more Sukhoi fighter jets from Russia, opting instead for U.S. F-16s, Air Marshal Eris Herryanto told Flightglobal aviation news portal on Thursday. The Indonesian Air Force has 10 Su-30 and Su-27s with six additional fighters on the way. Money is being made available to accelerate the refurbishment of its existing fleet of 15 Lockheed Martin C-130s, as well as buy four C-130Hs from Australia and upgrade them, and purchase more Indonesia Aerospace CN-295 transports, said Herryanto, who is secretary general of the Indonesian Defense Ministry. "We are waiting for 24 F-16s from the USA. With those, we will have enough aircraft in our fighter inventory for the next 20 years. And that means we have enough Sukhoi fighters for now," he said. "Indonesia has also invested in South Korea's K-FX program, which will produce fighters to replace aircraft like the [Northrop] F-5s and F-16s. We aim to buy enough K-FX fighters for three squadrons of 16-22 aircraft each. That will cover our long-term requirements." 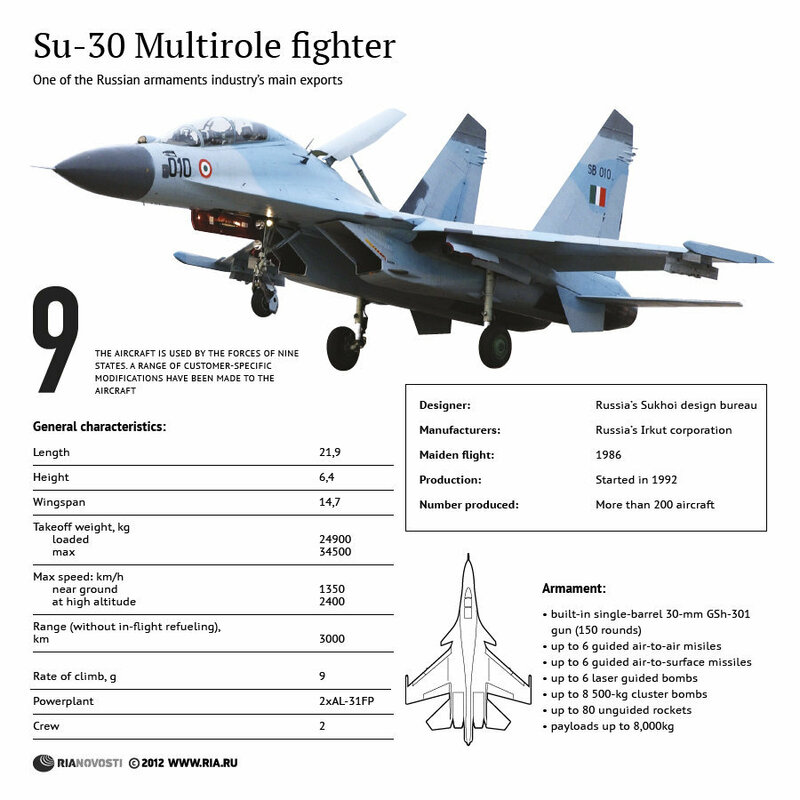 Sukhoi’s press service said they were not aware of Indonesia’s plans. A source at United Aircraft Corp. (UAC) who spoke on condition of anonymity said he was not surprised by Indonesia’s decision, as there has been no discussion with Jakarta for any more Sukhoi sales. Indonesia recently bought six Su-30 fighters to be delivered within the next three years (two a year).The country’s Air Force will thus have a total of 16 Sukhois, which require spare parts, servicing, maintenance, etc, he said.Any joint aircraft project with South Korea is unlikely to materialize soon, the source said.